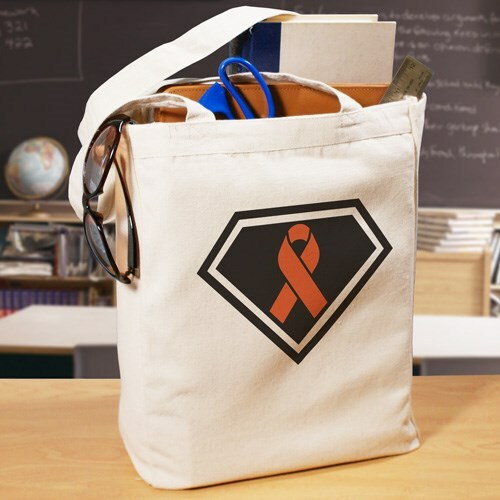 Your super awareness will not go unnoticed when you tote around this canvas bag! This inspirational super-awareness design may be featured in Blue, Purple, Pink, Orange, Red and Gray! This Awareness Tote Bag is a 100% cotton Canvas Tote Bag, measuring 16"h x 14"w. This tote bag is made especially strong to hold all of your take along items. Great as Multiple Sclerosis Gift Ideas for events and fund-raisers!